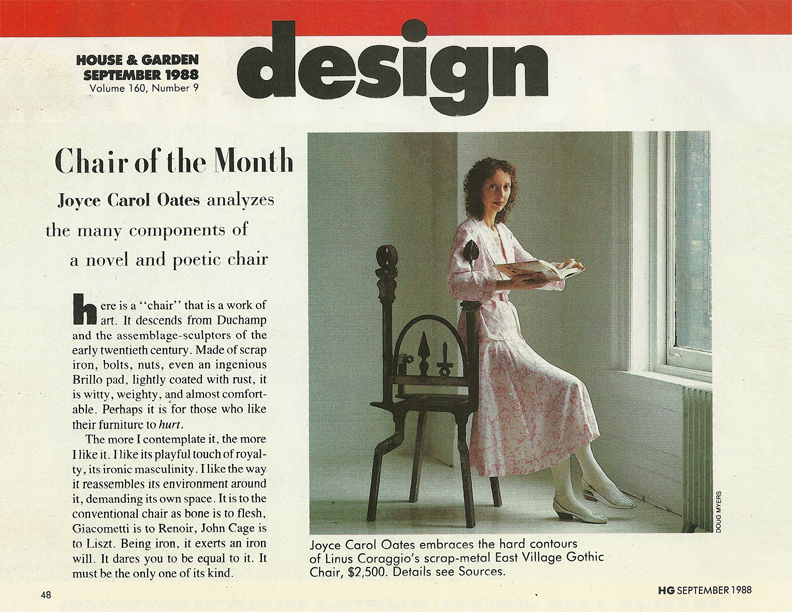 In 1988, House & Garden magazine ran a series called “Chair of the Month” in which they paired a celebrated writer with a chair chosen by the magazine staff and had him or her write about the chair. Coraggio’s “East Village Gothic” chair got matched with no less than Joyce Carol Oates—one of the most distinguished figures in American literature! Linus met her years later.